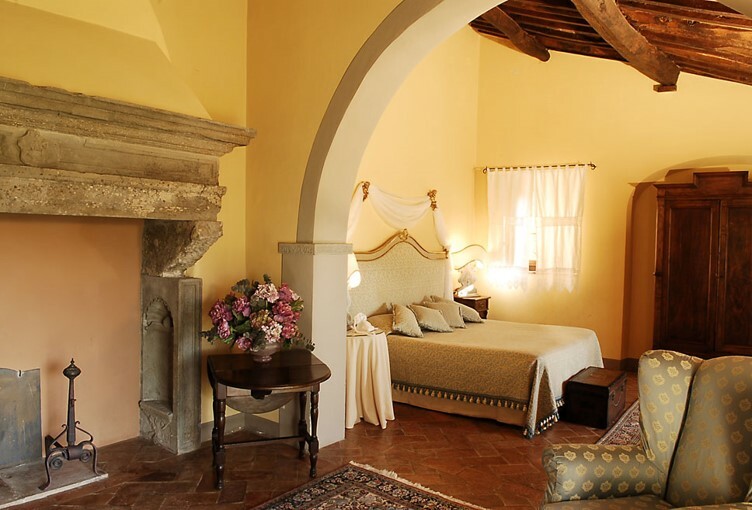 The Relais & Chateux Il Falconiere and Spa is a charming house kept in the heart of the Tuscan countryside, where the hills give way to the enchanting Etruscan hill-town of Cortona, just beyond at your fingertips. Their love for this land, rich in history and ancient traditions, is the foundation of the best expression of food and wine of Tuscany which inspired and guided in 1988, this great dream of Silvia and Riccardo Baracchi, transforming the ancient Villa of the 17th century, into a jewel of hospitality. Today, 25 years after its inauguration, Il Falconiere, along with a Michelin star restaurant, a wine resort and exclusive SPA is a small world of charm suspended in time, that has preserved the simplicity of two youths in love with a dream, from which a wonderful story has been created. 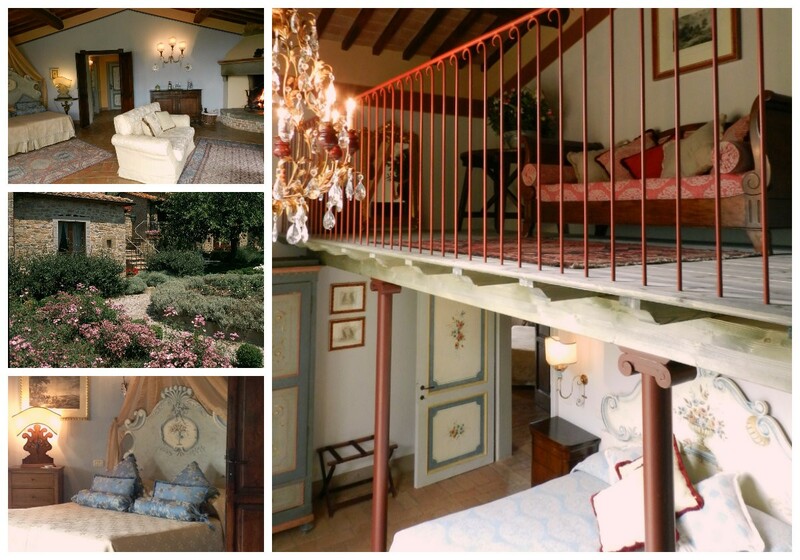 alignment, and compliments the prestigious Relais & Châteaux Association since 1997. The philosophy of Il Falconiere beckons a feeling in the name. For the love of the ancient hunt, the love for nature and for the noble arts related to the world. The essence of this is reflected in the desire to recreate the beauty of the farm, the land, and its Etruscan history of self-sufficiency and offer it as a gift to the guests. The wide array of elegant entertainment is a daily celebration of the spirit of the place, that makes your stay here a memorable experience. Their mission finds its highest expression in the dining selection of the menu and cooking classes taught by Chef Silvia Baracchi herself. The fine art of Il Falconiere is the character of uniqueness here that is handed down from generation to generation. A unique combination in the heart of Tuscany is to enjoy precious moments for the soul surrounded by the sounds and fragrances of the land of Cortona. Il Falconiere, quintessential Tuscan town, is located in Cortona, the town where the movie "Under The Tuscan Sun", starring Diane Lane has been filmed. It is Among the main attractions to be numbered with the Duomo, the small Diocesan Museum with its excellent collection of art and the fascinating Etruscan Academy Museum with a collection of artefacts from the Etruscans and Romans.There are several routes to discover this little gem of Tuscany; starting from the center you discover the heart of Cortona made of historical and artistic beauty reflecting the charm of the ancient town. A walk through museums, walls and buildings is an exciting journey that brings back time.An aura of spirituality pervades, instead, the northern part of the city called the Poggio from Cortona; here you follow the most picturesque paths that features stone streets set like an Historical maze. 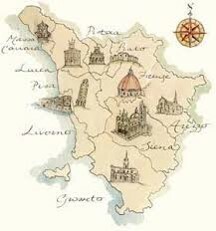 Drive yourself or we arrange a driver and guide and local Tuscan experiences. Baracchi Winery. The property has their own vineyards, following family traditions of grape growing and wine production, giving it a modern character and great quality. The company's products are a tribute to the land of Cortona and a fantastic harvest: wine, grappa and extra virgin olive oil is distributed in 3 continents and in 12 countries. The restaurant, Il Falconiere, was borne from the ancient lemon tree with its beautiful panoramic terrace overlooking the hills of the Tuscan countryside. Outside the typical elements of the local architecture such as stone, brick, and framed arches is the veranda of glass and wrought iron where was once the limonia, the space of light dividing two main rooms and housing the small Hall of Clocks. Since 2002, the restaurant shares the only Michelin star in the province of Arezzo with no other, in addition to the prestigious awards conferred by the leading Italian and international guides. The natural setting inspires the solar kitchen designed by Chef Silvia Regi Baracchi and is a vision in which culinary interpretation of the territory and where new and modern combinations on old themes are in perfect balance. The high quality of the ingredients, respect of seasonality and the use of products at km 0 are the guiding principles of all the dishes on the menu, enhanced by a wide selection of wines, among which the prestigious labels of the company Baracchi. Spa. The exclusive Thesan Etruscan Spa is an intimate retreat of well being to rediscover the value of our precious time. Its enveloping atmosphere invites you on a journey of the senses lulled by delicate aromas and soft musical notes. The path leads to the wide Water Vapor & relaxation area, the flagship of the spa: from the heated pool enjoy the Chiana Valley as far as the eye can see. On the coldest days the atmosphere heats up along with the flames from the stone chiseled fireplace. The treatments harmoniously follow the cycle of the seasons and realize the perfect symbiosis between Taste and Wellness. The early seasonal and excellent local products, among which are olive oil and wine, are the protagonists of an approach to well-being deeply linked to the territory and represent the nature of an ideal path from the plate to the Spa. Each month the spa packages exclusive rituals are dedicated to products that shine at the table and showing typical aromas of the season. The collaboration with the Officina Profumo Farmaceutica di Santa Maria Novella complete the high quality of well-being and guarantees the use of the best natural products respecting the traditional choice of Il Falconiere. Nature is the main ingredient of exclusive rituals, massages and beauty treatments. The charm of the old world that pervades every corner of the property reaches its highest expression in the 22 rooms spread over the property and derived from the ancient farm environments. Guests are invited to choose their own corner of their heart. 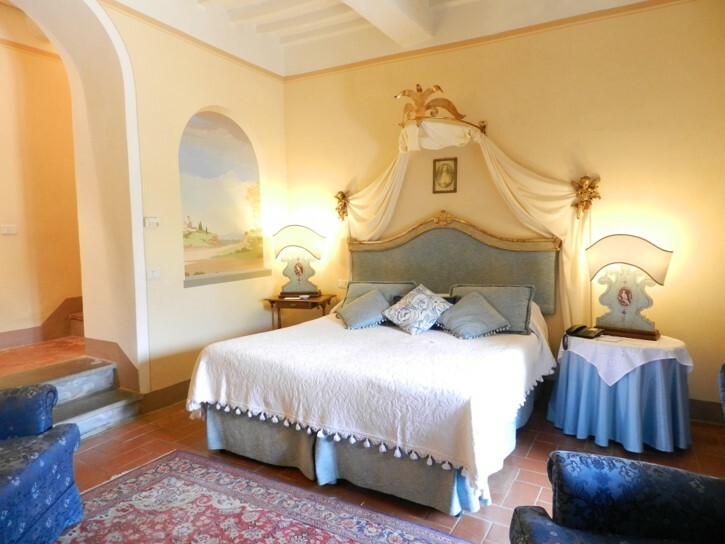 The rooms in the old villa, which preserve the intimacy of a stay in the main house, the little chapel to those adjacent or very close to the Spa. For a romantic stay, small cottages are sprinkled about the property. 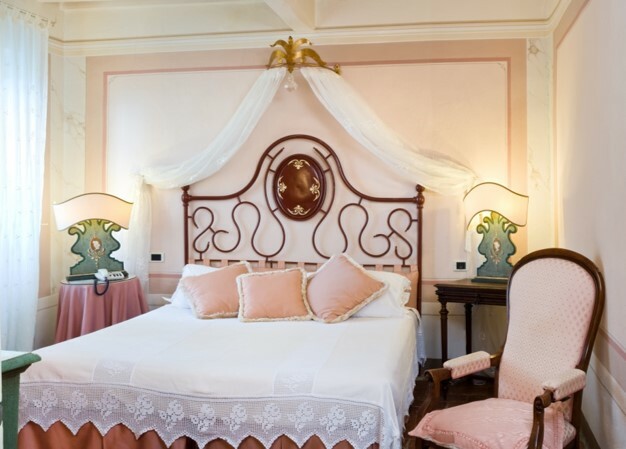 Each room is unique and enriched by the inspiration of local artisans; frescoed walls, antique furniture, iron or four-poster beds and woven fabrics combine soft and relaxing colors. 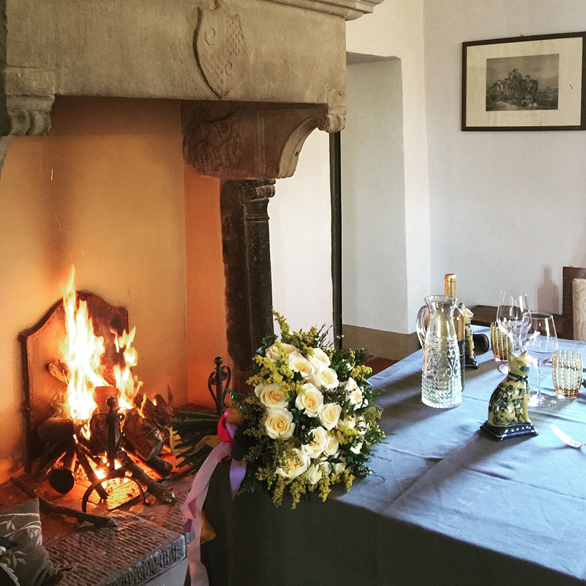 Whatever type of holiday you are having, all rooms have in common the style of refined simplicity, typical of the most important Tuscan houses and the picturesque view of the landscape of the countryside of Cortona is always at your front door. Classic and deluxe rooms occupancy is 2 people, and in suites extra beds are possible. AC, Mini Bar, Safe, Phone, TV LCD, Tea making facilities, Bathroom with shower, Hairdryer, Complimentary Mini Bar, Sweet home made cookies, Bottle of water, Owner’s letter of welcome. 2 double rooms and 1 twin sloping ceilings, 2 bathrooms , one with Jacuzzi bathtub and shower and the other with double shower complete with all comforts, a living corner with sofa and fireplace, a charming attic, a large panoramic terrace overlooking the vineyards and Cortona’s hill, private garden and parking. 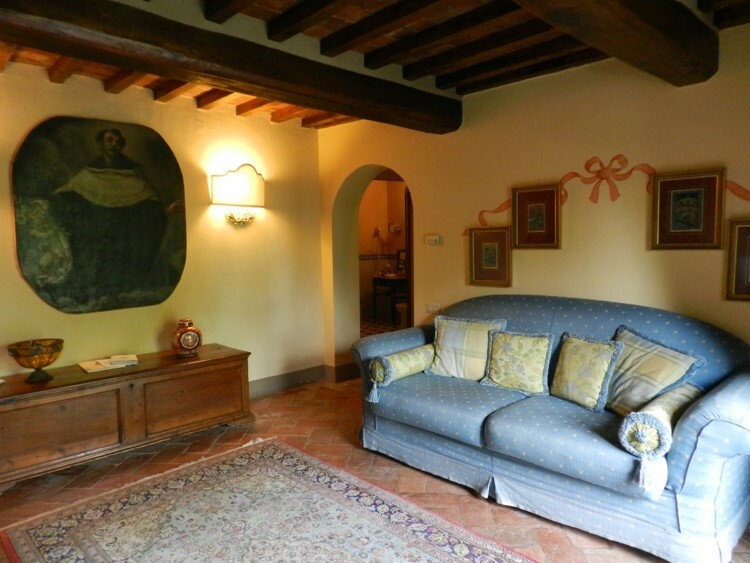 About 100 square meters of charm and privacy for families or couples of friends who wish to share the pleasure of their holidays in Tuscany. Crossing the gates of Relais Il Falconiere means entering a world apart. A world of experiences to live, enjoy and remember..
Much more than a resort, Il Falconiere is a Wine Resort where you can discover the vineyards, the philosophy of production and winemaking techniques. In respect of the great tradition of Tuscan hospitality, Riccardo and Benedetto accompany guests on a walk through the vineyards that ends in the cellar where you can taste wines from their estate. The experience is not complete without a visit to the champagnerie which preserves all of the secret charm of our popular bubbly. Silvia opens the doors of her 5* country kitchen and reveals the secret of her typical Tuscam dishes during her captivating cooking lessons. An authentic culinary immersion designed for different skill levels and available in themed courses, wild game, and homemade pasta, and the flavors of the other specialties of the area. From single lecture to more intensive programs, with her contagious energy, Silvia teaches to prepare the typical Etruscans simplified and reworked according to modern taste in an elegant and country atmosphere. Noble and ancient atmosphere reigns in this estate, where the hawk watches over the family Baracchi and the guests of the Relais. 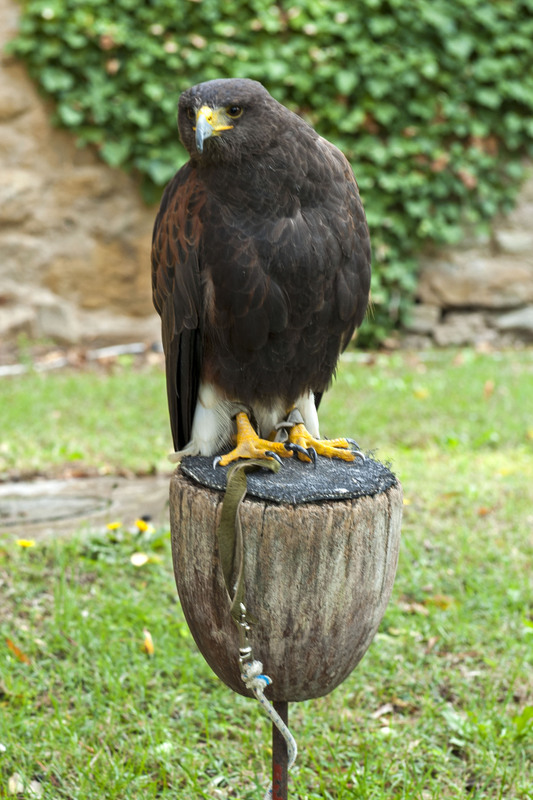 The art of the passion of falconry has for centuries been a part of their land and long ago traditions and courses are organized by Riccardo Baracchi to introduce you to this world that comes from far away. The wild beauty of these raptors are always fascinating and always passionate . Each course ends with a small ceremony of the Diploma of participation. The best way to talk about the hunt at IlFalconiere is through the words of Riccardo Baracchi "Hunting is love or hate; there is no middle ground. It is like a woman. you either fall in love right away or you remain indifferent to her all of your life. My love was total and always, perhaps because of the rituals that accompany it, perhaps because grandparents and father were passionate hunters, and I was born with this passion since childhood. " "Moving around" provided in an eco-friendly environment . The Relais offers to its guests bicycles and mountain bikes to explore scenic routes and ancient paths that surround Cortona. On foot or on horseback, the important thing is to be conquered by beauty in nature walks on the land surrounding the property. Among rolling hills and ancient paths through woods and pine forests in search of the most evocative, every little excursion includes a discovery. A holistic approach that cares about the well-being of the whole person inspires the restorative practice of yoga to Il Falconeire. Perfumes and natural sounds pervade the whole estate by offering the best environment for a pause made of tranquility and charm. The path continues in the Spa where spa treatments with natural oils rebalance mind, body and soul. Golf rhymes with passion. By partnering with the Golf Club Valdichiana, Il Falconiere offers a golf experience and gastronomy of the highest level in the heart of Tuscany. Located just 18 km from Cortona and from the resort, the Golf Club Valdichiana, is a 9-hole course that covers approximately 20 hectares with a par of 34 game. Special packages for guest golfers are designed specifically to meet their needs and make unforgettable gaming experiences and travel at the estate. Once in Camucia, Continue to “S. Martino a Bocena. From the station you can take a taxi to and from the hotel(5 minutes). Inquire for availability and price.